HELLOOOOO SUM-MAH! Hot weather calls for some cool ice cream! 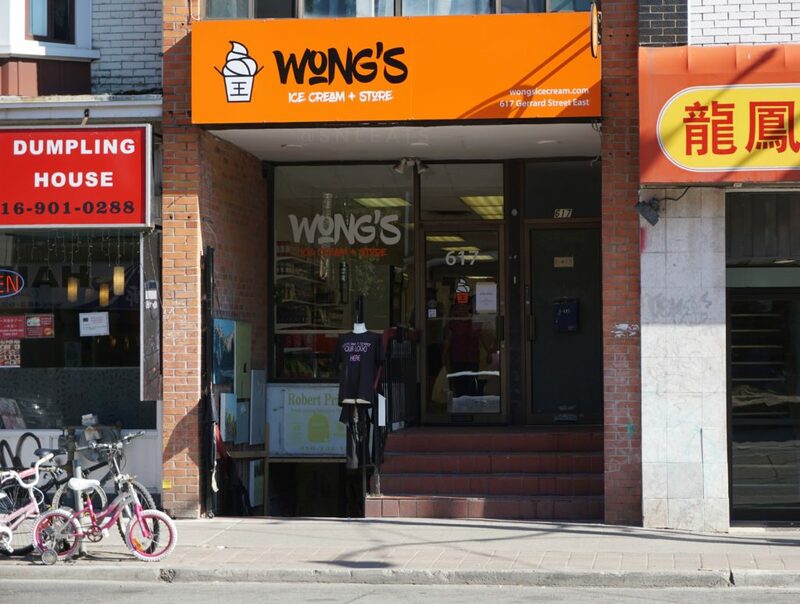 Located in East Chinatown (aka Old Chinatown) is Wong’s Ice Cream and Shop. Not only is the ice cream cool at Wong’s, but their ice cream is crazy and unique! 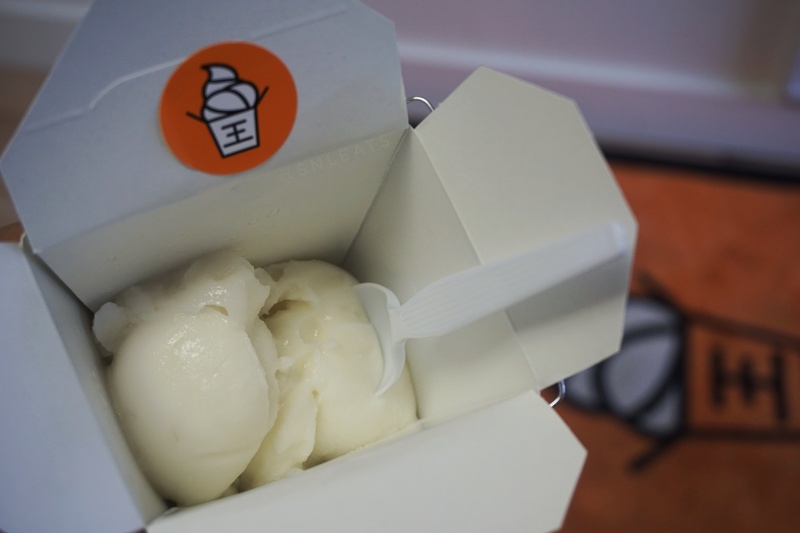 Wong’s is owned and operated by Ed Wong, the genius behind the crazy ice cream flavours such as black sesame with salted duck egg, wasabi honey and rosewater white chocolate jasmine (to name a few!). 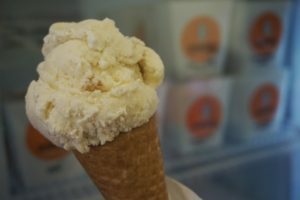 Ed creates the ice cream in small batches once a week and even offers the ice cream in quart containers to take home. Chilling on an ice cream sandwich bench with Ed Wong,, Owner of Wong’s Ice Cream and Shop (left) and Tristen, co-owner of Tito Ron’s (right). 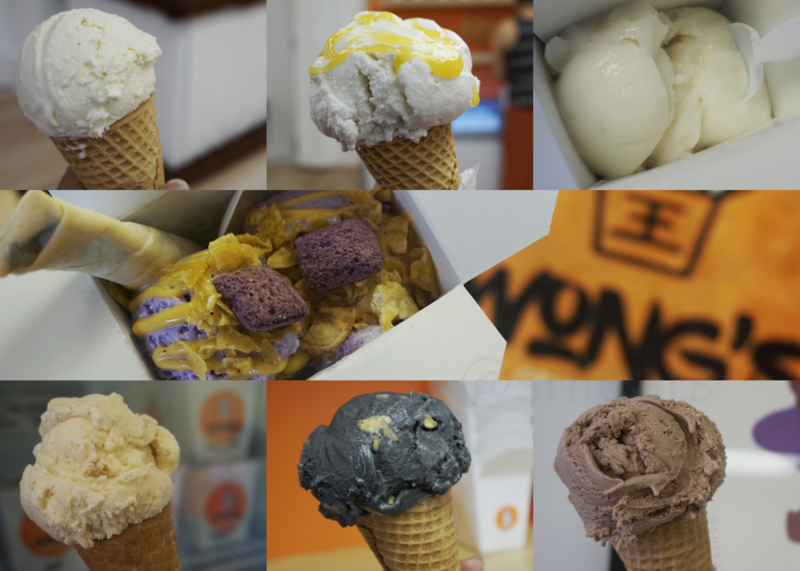 Wong’s has just recently opened on June 14th, 2017 and within the past two weeks of them being open, I have dropped by and had myself seven out of nine of their flavours! Not only are there dairy ice cream flavours but they also have vegan flavours that are created with coconut milk and a touch of soy milk. These two weeks have taught me quite a bit about ice cream making. Did you know that the amount of air mixed into an ice cream determines its taste? (Well, imo, it does) This is basically why massed produced brands will taste more “airy” and less flavour than small batched ice creams. 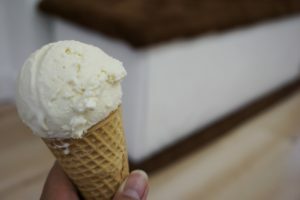 You can definitely taste the difference while eating Wong’s ice cream, as the ice cream produces so much flavour and is more of an icy texture that melts in your mouth. Let’s dive right into the flavours! First up is their ever so popular, Black Sesame and Salted Duck Egg aka Chinese Tiger Tail. It may sound strange to have something so savoury as a salted duck egg in ice cream but that’s what just makes it work so well! 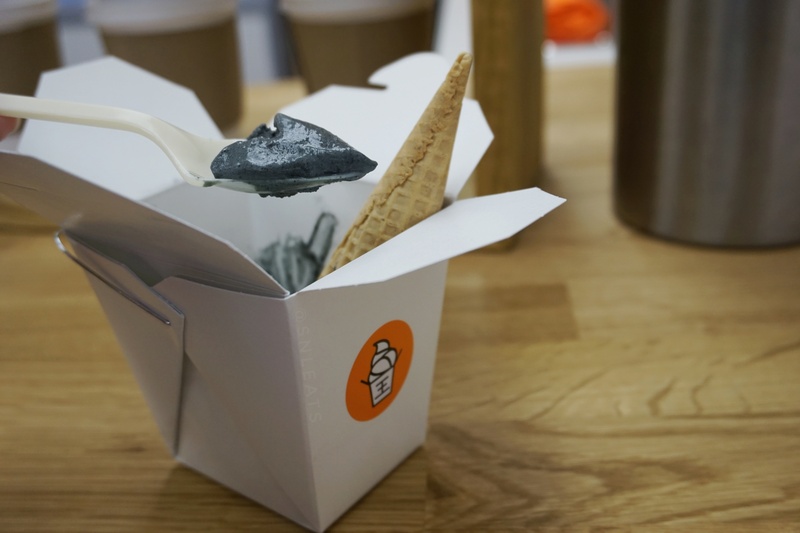 In order to provide a smooth texture for this ice cream, Ed created the salted duck egg into a fudge like consistency to provide nuggets of salted duck egg to be dispersed throughout the black sesame ice cream. 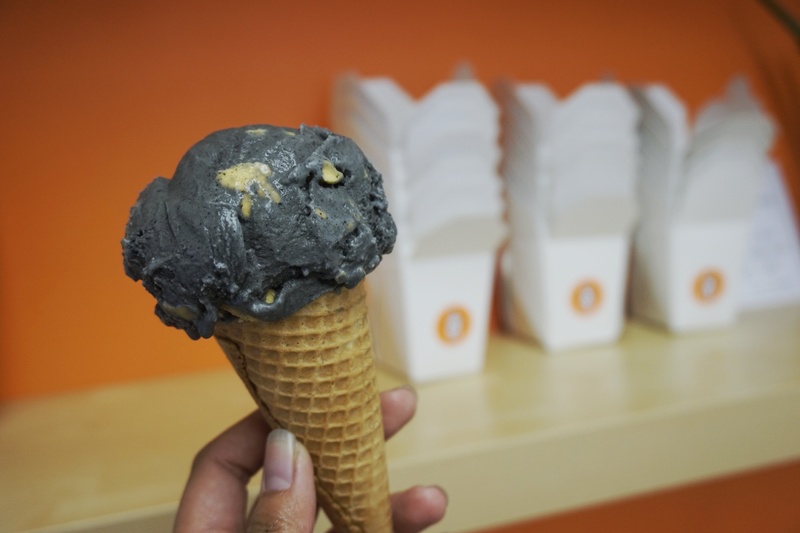 The sweet black sesame ice cream mixed with the salty and savoury salted duck egg just create such a flavour that is similar to peanut butter! This Mango Coconut Sticky Rice Ice Cream is one of their vegan options which consists of coconut milk and a touch of soy milk. The crazy part of this ice cream is the sticky rice. If you have ever tried eating cold sticky rice, you know it never goes right and stays hard as a rock. Ed has worked his magic (and has an amazing formula) to ensure that the sticky rice does not go hard and returns back to its original consistency when consumed. 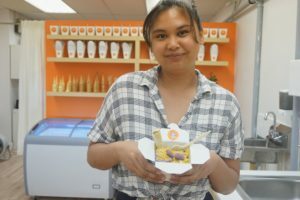 Tito Ron’s has brought not only their Filipino pies and sweets to Wong’s but have also brought back their Turon Sundae for its second summer! This year you get a choice out of two scoops of any of Wong’s ice creams! I opted for a double scoop of Ube (Filipino purple yam or taro) to round out the Filipino dessert. 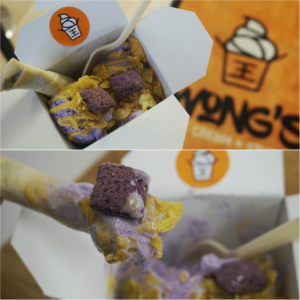 It’s very hard to find legit and full fledged ube ice cream in Toronto, but Wong’s has changed all that! They create their ube ice cream with real ube and not just ube flavouring as other ice cream, which leads to a bit of a grittier texture but you get the full ube flavour. This combination of Rosewater White Chocolate Jasmine may sound scary but interestingly enough, this tastes like lychee. I believe it’s the rosewater that provides the lychee like taste. The rosewater is made in house so as to not be too strong of a rose taste and it balances well with the white chocolate and jasmine. Although the Orange Candied Ginger this is a vegan option, it is full of orange flavour with pieces of candied ginger! The candied ginger isn’t too strong or chunky so you are able to get appropriate amount of candied ginger per bite. Another vegan option is their Lemongrass Lime Sorbet. This sorbet is very refreshing, cooling, a bit sour and resembling of a lime slush! I grabbed this one on the hottest day that we had in the past two weeks. 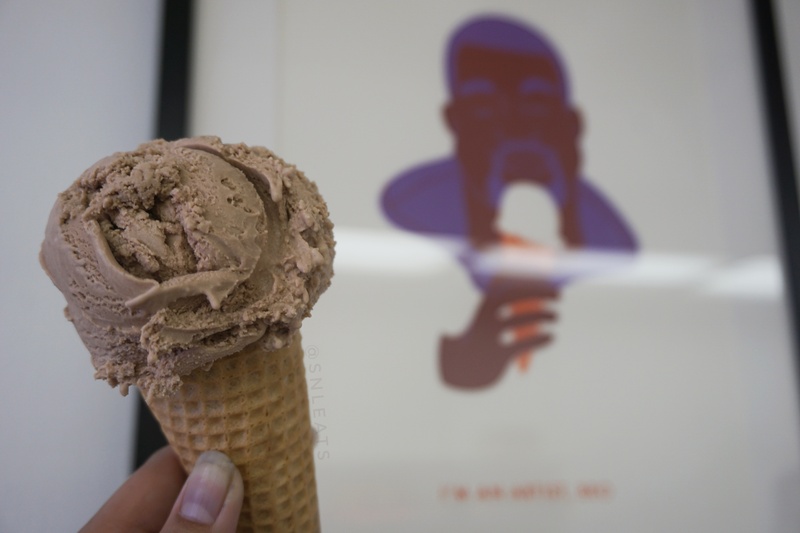 Why not enjoy a scoop next to Kanye? 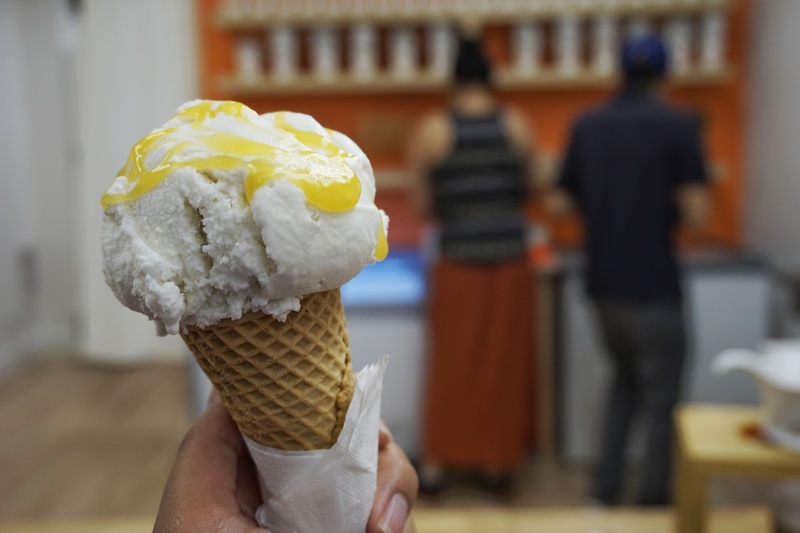 This Chocolate Yuzu contains an Asian citrus fruit integrated within a chocolate ice cream. The chocolate ice cream is very refreshing and feels like a quality frozen hot chocolate with slivers of yuzu (similar to orange). Many people have said that this tastes just like a Terry’s Chocolate Orange, and I definitely have to agree with that! Along with ice cream, Wong’s also sells various goodies including Asian inspired treats (like Korean BBQ Chips), gluten free treats, artisanal chocolates and other unique finds and bites. 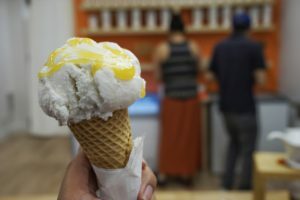 Wong’s Ice Cream and Shop will definitely be one of my highly recommended ice cream spots to check out if you are in Toronto. 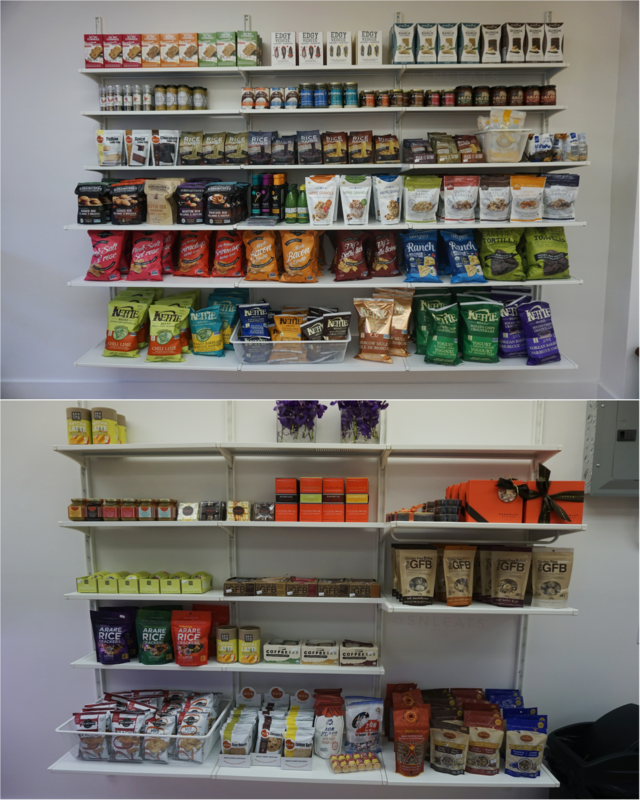 They have said that they will have seasonal flavours as the months go by, so it will always be fun to explore the different flavours they’ll have in store! Shanlli is the curator and co-owner of the foodie Instagram account @SNLEats where she posts food images of local Toronto (Canada) eats, the creations of boyfriend Nico, who is a chef in training, and food from wherever they travel to! Definitely follow them on Instagram to get a glimpse of the food scene in "The Six".